Learn, Shop, & Have Fun, All in One! Grandpa's is a positive Pagan, New Age, Hippy Metaphysical Shop, with tons of free information about a variety of metaphysical subjects and lots of free fun stuff to do! Our metaphysical shop is full of unique gifts and occult supplies, for your every need. Among our metaphysical supplies you will find Books on Wicca, candles, herbs, tarot decks, psychic tools, essential oils, feng shui items, incense, Native American Smudge, spellcraft and magical supplies, meditation tools, and so much more! We even have unique and unusual gifts, vintage kids toys, hippy gifts, even Sea Monkeys! Just click on shop, above, to take you to our store. 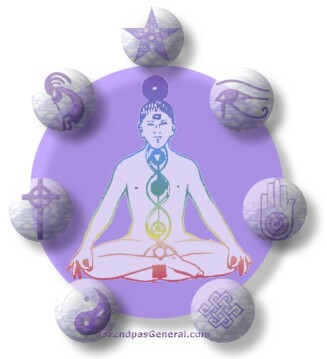 Grandpa's is also a wonderful place to find free information on many metaphysical and occult subjects, such as auras, how to read tarot cards, making incense, smudging, about magic, astrology, metaphysical properties of crystals and more. Just click on Learn, above, to take you to learn stuff pages! We also have lots of free fun stuff to do like finding out if you are psychic, taking ESP tests, Chinese horoscopes, calculate Biorhythms, get free tarot readings and more. Just click on Fun to take you to these free fun stuff pages. We even have a budding new age metaphysical community! There are information articles, metaphysical resources, and message boards to post a question or talk about almost any subject! Just click on community to take you to our occult and metaphysical message boards. I should mention is that this site is making a BIG transition and many old pages will no longer be supported. However, the metaphysical shop and community areas are brand new and fully functional. As time permits, new pages will replace the old shopping, learn stuff, and fun stuff pages. In the meantime, If you get lost, just click on the HOME button on the left hand side of the page. That will return you to this page. Grandpa's General Store caters generally to the pagan community, but we carry many unique gifts, occult and metaphysical items of interest to seekers on various spiritual paths. Whether you are interested in Wiccan, Christian, Buddhist, Sufi, Hindu, Voudon, or some other spiritual path, we are sure to have something of interest to you! This is a positive site, with unusual gifts , occult & magical tools and supplies, metaphysical information, and lots of free fun things to do, as well.